Oh, y'all! 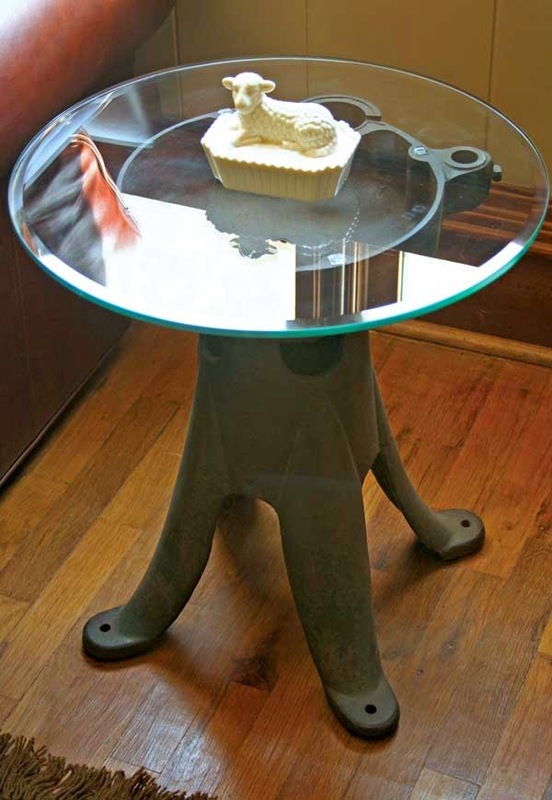 I just love it when things are re-used, instead of being tossed in a landfill! This truck bed turned flower stand is such a cute, eye catching piece. Even if you aren't in the farm stand business, this would be an adorable potting bench, backyard kitchen serving area, etc. The possibilities are endless! 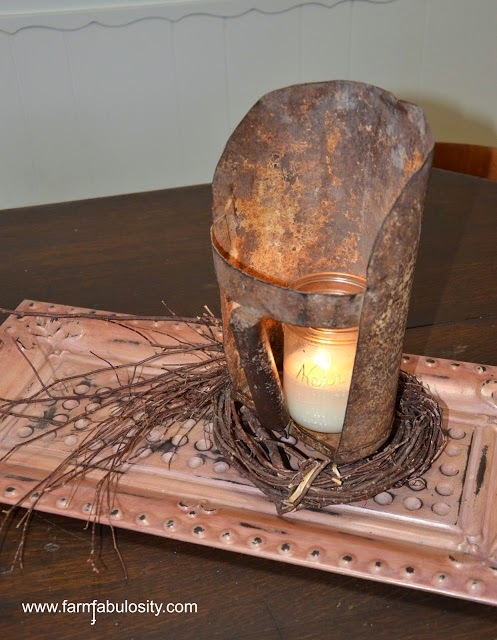 A feed scoop can be used to create a wonderful, rusty, farmhouse vingette. 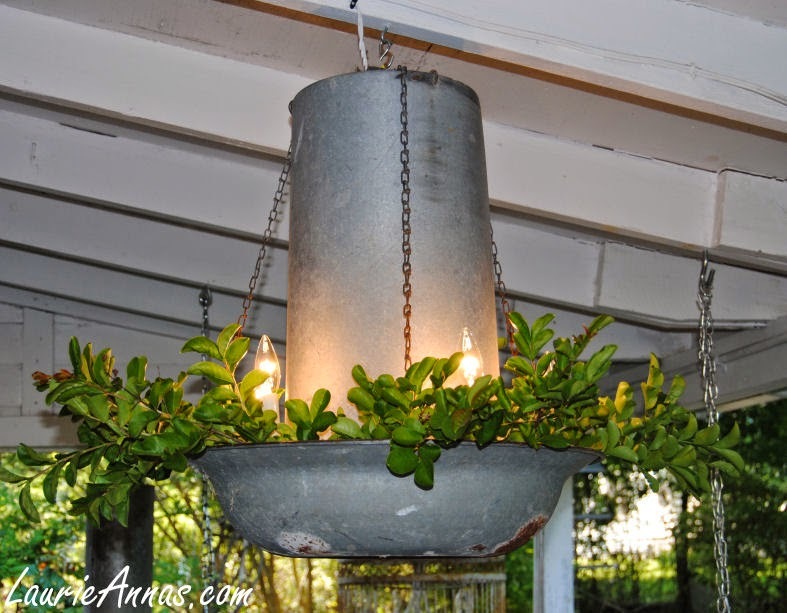 A turkey feeder becomes a beautiful outdoor chandelier.... I love the industrial, sleek lines of the feeder... and the metal, glowing in the low light.... be.still.my.heart. An apron from a feed sack... who would have thought? 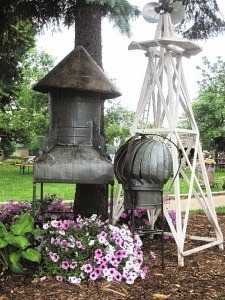 These old farm pieces look wonderful in the garden.... great places for birds, butterflies and bees to nest in. This cream separator makes an adorable side table... don'tcha think?! 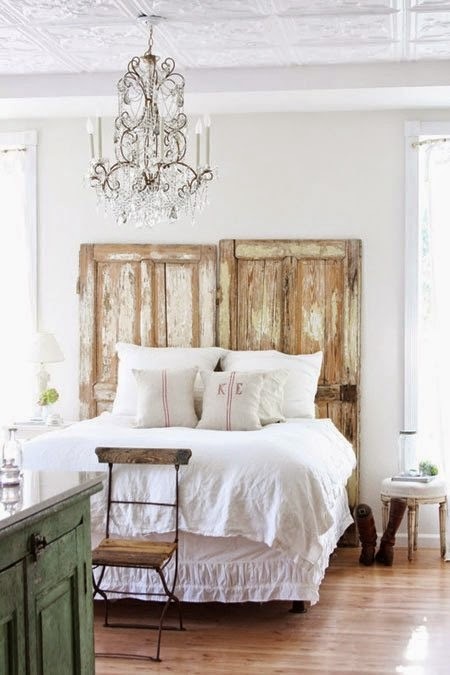 Old doors are great architectural statement pieces, especially in this instance - used as a headboard.... beautiful! And, who couldn't do this?! 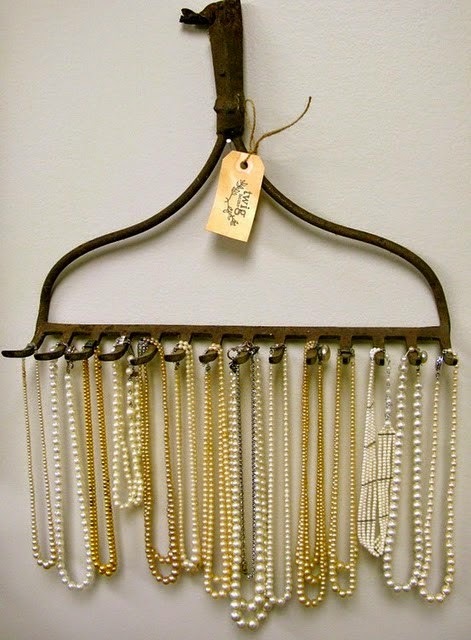 A rake was repurposed to serve as a jewelry display piece! 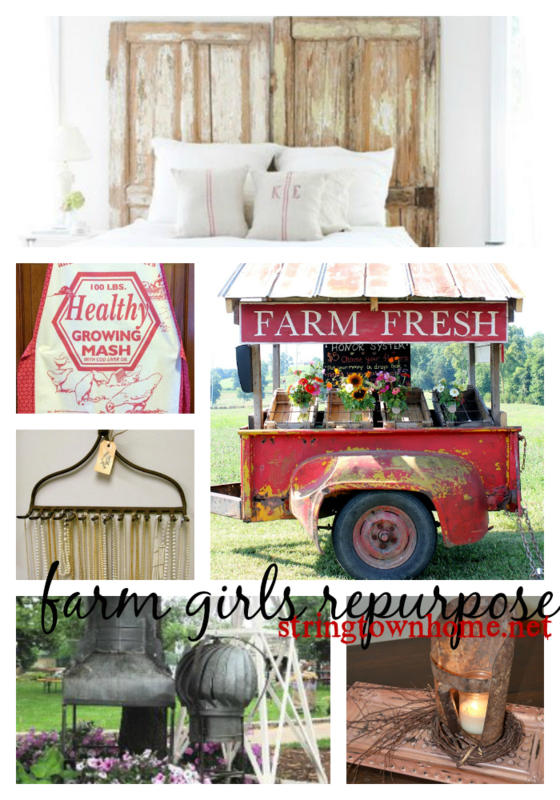 It is so fun to think outside of the box.... to use something unexpected in your decor - it gives your home character, and come on y'all - everyone wants their home to be unique! Go find some junk, y'all! Ohmygoodness Heather- I have been scrolling up and down looking at these pictures and on the phone w my daughter telling her to go here and see them...thanks a million for sharing with us! :) Aren't they fun?! Several remind me of things that we would have seen on your farm in Texas... you've always been creative with things like this! Love having you back"full time" my friend, so excited and impressed by you! You are incredibly talented and such a joy to follow long my path with. Nothing but love and respect for you Heather.